Where Packets can be made to stand up and dance. Private VLAN’s are a very interesting and mostly used for Network segmentation and fun concept but it can take a little to get your head around, so here goes. Private VLAN’s split a VLAN into Sub-VLANs, called Primary and Secondary. 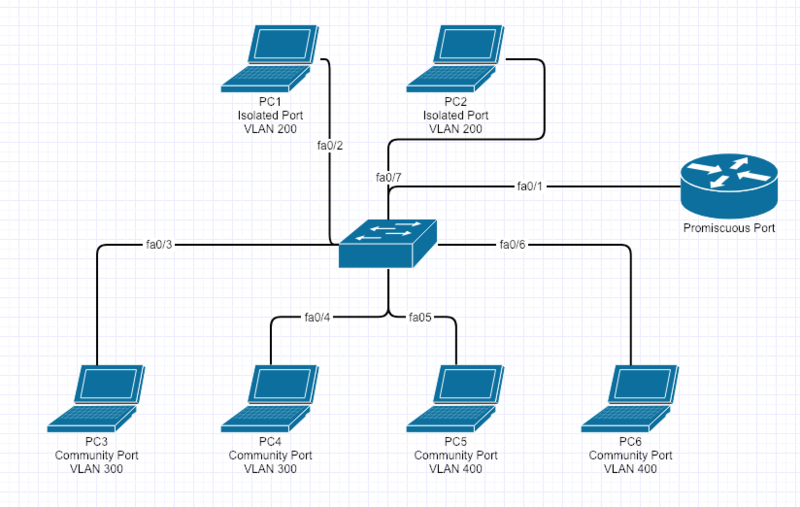 Secondary VLAN’s have 2 different types : Isolated and Community. 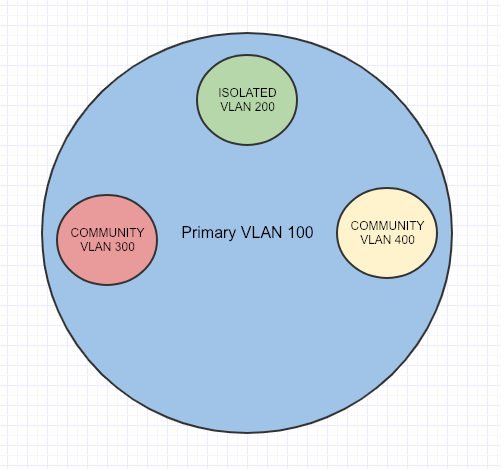 In this example the Primary VLAN is 100 and the Secondary VLAN’s are Isolated VLAN 200, Community VLAN 300 and Community VLAN 400. An important port to know about before beginning is called the Promiscuous Port. 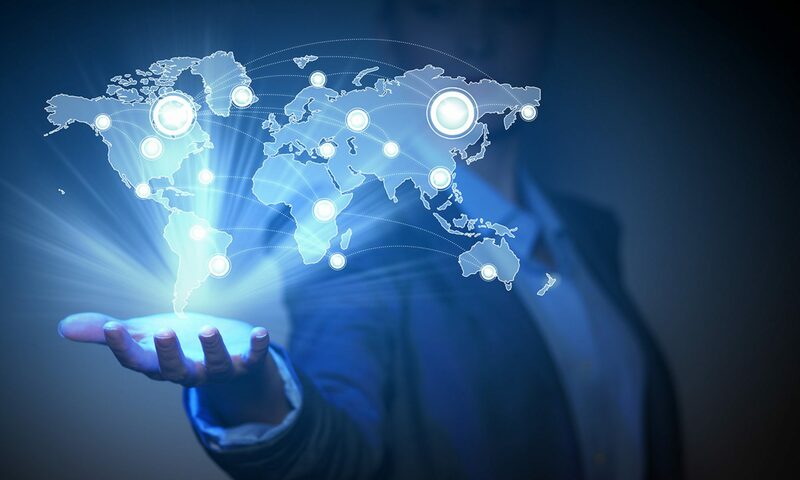 It acts like a Gateway that routes Primary and Secondary-VLAN traffic, and all Secondary-VLAN traffic must pass through the Promiscuous Port. Community ports can talk to each other, if they are in the same Community Secondary-VLAN. VTP must be set to transparent mode for Private VLAN’s to work. We have to tell the Promiscuous Port that it is associated with the (Isolated and Community VLAN’s) that it can also see and talk to them appropriately. Here is the topology of what was just built.